Some of you might have noticed the badge I’ve added to my Blog. 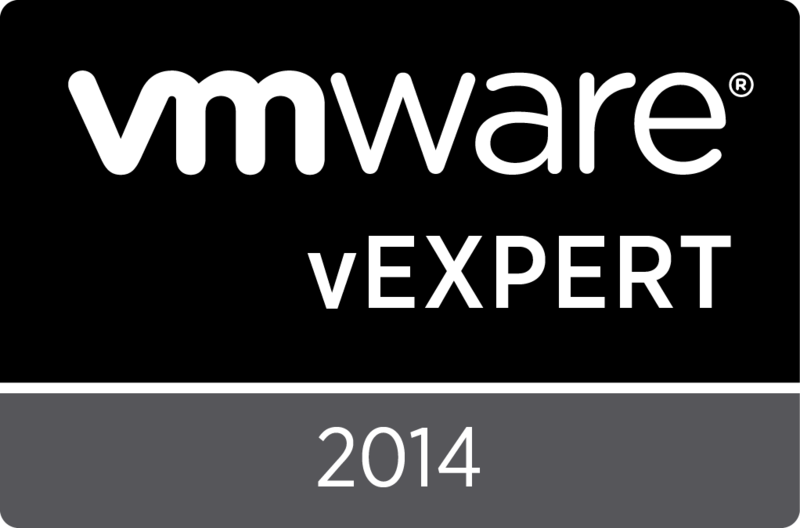 I have to thank VMware for recognizing my efforts for the community and for awarding me with this title. Thanks to this and to Corey Romero who granted me a Blogger Pass for VMworld in Barcelona I will be able to write about the conference pretty soon. If you happen to run NetScaler and upgrade to build 2143827 of vSphere 5.5 you will run in very nasty issues. Specifically, your NetScaler will go bonkers if you enter in the management web interface or even via SSH; in general all things that start a network increase in term of traffic directed to the NetScaler will make it crash. When it doesn’t crash you will still experience network communication drops, hangs, connectivity issues and such and in a very random fashion too (just to add some fun). Fortunately VMware gave us a workaround. To work around this issue, add the line hw.em.txd=512 in loader.conf file. Note: There are two loader.conf files. The two files are ./flash/boot/defaults/loader.conf and ./flash/boot/loader.conf. Modify the first one and ensure to take a backup of the file prior to making the changes.